A FIVE YEAR TREND CHANNEL MARKETS OVERHEAD RESISTANCE - Notice the Degree of Divergence. WE DREW THE BIA$ IN EARLIER IN OCTOBER (First Chart). Second Chart approximates our red line anticpation. The recent strong rise in the so-called CBOE SKEW index should be counted among the various divergences that make the stock market's current advance suspect and that we are approaching an inflection point at TRIGGER$ ZONE "C". Skew measures the perceived tail risk of the market via the pricing of out-of-the-money options. Generally, a rise in skew indicates that 'crash protection' is in demand among institutional investors (institutional/professional investors are the biggest traders in SPX options). The basic idea is similar to the CSFB 'fear index' or the Ansbacher index (which compares the premiums paid on equidistant calls and puts). A unusual move in the skew index (which historically oscillates approximately between a value of 100 and 150) is especially interesting when it diverges strongly from the VIX, which measures at the money and close to the money front month SPX option premiums. Basically what a 'low VIX/high skew' combination is saying is: 'the market overall is complacent, but big investors perceive far more tail risk than usually' (it is exactly the other way around when the VIX is high and SKEW is low). In other words, a surprising increase in realized volatility may not be too far away. Below is a chart showing the current SKEW/VIX combination. SKEW is rising strongly, even as the VIX is very low – click to enlarge. SKEW vs. VIX, long term. As can be seen, the perception of increased tail risk can be 'early', but it is definitely a warning sign. The VIX and the SPX – two divergences (lower high in VIX vs. lower low in SPX at the 2011 low, and currently a higher low in VIX vs. a higher high in SPX) – click to enlarge. So here we have some additional evidence that the risk-reward equation in the stock market has recently shifted toward 'risk'. Once again, these are not precise timing signals – as the longer term chart of the SKEW index shows, investors are at times too early worrying about growing tail risk. On the other hand, it is definitely a 'heads-up', and lead and lag times are bound to vary. This is to say, we cannot state apodictically that they are once again 'too early' or how long exactly the lead time of the rise in the SPX options skew will actually turn out to be before the market gets into trouble this time. Near Term Bonds are due for a Correction: Alligns with TRIGGER$ZONE "C"
US 10yr yields have reached "Massive" resistance. Specifically, the 2.474%/2.399% zone has been a long standing pivot which has repeatedly repelled. With momentum (14d RSI) at its most overbought since May, odds favor a medium term bearish turn in trend towards the mid-Oct highs at 2.759%. It is interesting to watch how mainstream reporting on certain major topics at times undergoes chameleon-like changes with the meme originally presented suddenly turning into the exact opposite. Not too long ago conviction was extremely high that the Fed would slow down its 'QE' operations and that the economy's weak recovery was going to morph into something one might call 'business as usual'. That notion has never struck us as credible. Readers who follow Zerohedge may have noticed two recent articles discussing the change in mainstream bank analyst views on the dreaded 'QE taper'. It is instructive to review them: Deutsche Bank now argues that there 'won't be any tapering at all', while SocGen as gone a step further and is now saying 'QE may be increased'. In other words, mainstream analysts have finally realized that the insane are running the asylum. Regarding the changing tune in the popular mainstream press, we have come across this recent article at Bloomberg, entitled “Central Banks Drop Tightening Talk as Easy Money Goes On”. “The era of easy money is shaping up to keep going into 2014. The Bank of Canada’s dropping of language about the need for future interest-rate increases and today’s decisions by central banks in Norway and Sweden to leave their rates on hold unite them with counterparts in reinforcing rather than retracting loose monetary policy. The Federal Reserve delayed a pullback in asset purchases, while emerging markets from Hungary to Chile cut borrowing costs in the past two months. “We are at the cusp of another round of global monetary easing,” said Joachim Fels, co-chief global economist at Morgan Stanley in London. Policy makers are reacting to another cooling of global growth, led this time by weakening in developing nations while inflation and job growth remain stagnant in much of the industrial world. The risk is that continued stimulus will inflate asset bubbles central bankers will have to deal with later. Already, talk of unsustainable home-price increases is spreading from Germany to New Zealand, while the MSCI World Index of developed-world stock markets is near its highest level since 2007. So, have central bankers drunk the Kool-Aid with the acid in it? What we see here is global acceptance of the Bernankean theory – largely derived from Milton Friedman's analysis of the depression era and Bernanke's own analysis of Japan's post bubble era – that even though new bubbles may be staring everyone into the face, central banks must 'not make the mistake to stop easing too early'. It is held that that would 'endanger the recovery', similar to what happened in the US in 1937 and Japan in 1996. We have previously discussed that the 'Ghost of 1937' is hanging over the proceedings and tried to explain why this reasoning is absurd. While it is true that the liquidation of malinvested capital would resume if the monetary heroin doses were to be reduced, the only alternative is to try to engender an 'eternal boom' by printing ever more money. This can only lead to an even worse ultimate outcome, in the very worst case a crack-up boom that destroys the entire monetary system. 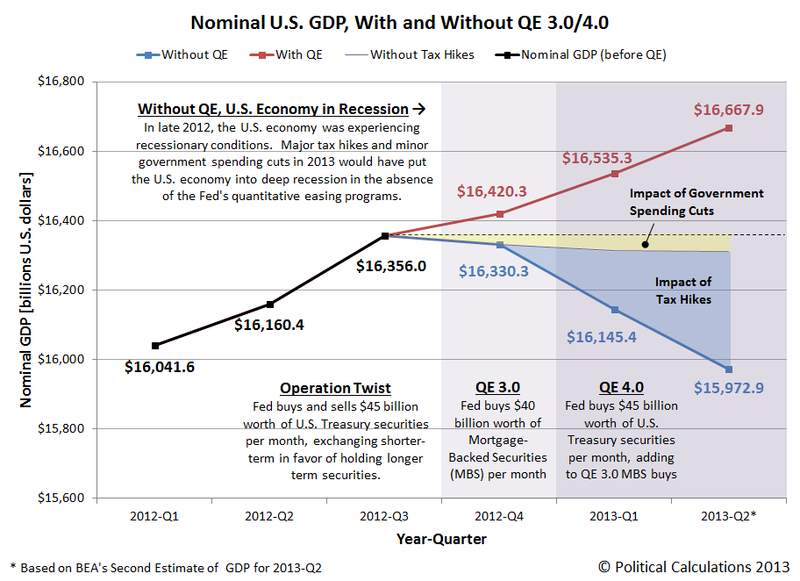 One of the reasons why we remain convinced that the widely hoped for return to a 'normal expansion' isn't likely to occur is that we have some evidence – tentative though it may be – that the economy's production structure has been severely distorted again by the Fed's interest rate manipulations and the huge growth in the money supply it had to engender in order to keep interest rates below the natural level dictated by time preferences. As one of our readers frequently points out in the comments section, the policy is mainly a stealth bank bailout, as money is transferred from savers to banks in order to avert the liquidation of unsound credit. How much unsound credit is still clogging up the system after the 2008 crisis? We unfortunately don't know, as bank balance sheets have become even darker black boxes than they already were after 'mark to market' accounting was suspended in April of 2009 (no doubt people who have the time to study the hundreds of pages of bank earnings reports with their endless footnotes in detail could come up with estimates, but apparently no-one really takes the time to do that). Below is a chart that we use to gauge how factors of production are distributed in the economy. Note that this cannot be more than a rough guide, but it is a guide that has served us well in identifying unsustainable credit-induced bubbles in the past. What the chart shows is the ratio of capital goods (business equipment) to consumer goods production. When the ratio rises, it means that factors of production are increasingly moving from lower order stages of the capital structure to higher order ones – which is a phenomenon typically associated with credit-induced booms. Of course this chart cannot tell us how much of the capital drawn toward higher order stages will turn out to be malinvested. However, what it does tell us is that the economy's production structure is in danger of tying up more consumer goods than it produces. In other words, it is an economy that may temporarily already be operating outside of what Roger Garrison calls the 'production possibilities frontier'. By definition, this state of affairs is unsustainable. Eventually the process will reverse, namely once market interest rates stop 'obeying' the central bank's diktat and relative prices in the economy begin to revert to something a bit closer to their previous configuration. The revolutionized price structure can of course never return precisely to its initial, pre-boom state. However, if market interest rates were to start increasing, the prices of capital goods would certainly begin to decline relative to the prices of consumer goods. The prices of titles to capital, i.e. stocks, would then begin to fall as well, as would the ratio shown below. The production of capital versus consumer goods in the US economy – once again reflecting credit bubble distortions – click to enlarge. The production of capital versus consumer goods, long term. Prior to the massive credit bubble that started after the last tie of the dollar to gold was abandoned, the ratio traveled in a tight sideways channel between 0.3 and 0.4 – click to enlarge. To be sure, not all of this structural change in the economy's capital structure can be blamed on the credit bubble. Partly it is probably also a result of the vast increase in global trade, which enabled a different and more efficient distribution of production to be put into place (labor-intensive consumer goods such as apparel are for instance nowadays mainly produced in China and other Asian nations). To the extent that the shift is due to the law of association it is beneficial and nothing to worry about. Nevertheless, it can be clearly seen on the chart that even if we allow for a structural shift that is to some degree the result of benign developments, periods in which the credit bubble expands more strongly are accompanied by strong increases in the ratio, while busts result in 'mean reversion' moves. The reason why these mean reversion moves don't play out more forcefully is that the central bank always does its utmost to arrest and reverse the liquidation of malinvested capital and unsound credit. Once the economy's capital structure is distorted beyond a certain threshold, it won't matter anymore how much more monetary pumping the central bank engages in – instead of creating a temporary illusion of prosperity, the negative effects of the policy will begin to predominate almost immediately. Given that we have evidence that the distortion is already at quite a 'ripe' stage, it should be expected that the economy will perform far worse in the near to medium term than was hitherto widely believed. This also means that monetary pumping will likely continue at full blast, as central bankers continue to erroneously assume that the policy is 'helping' the economy to recover. This is a true paradox that somehow needs to be resolved, and quickly if we are to avoid wasting an entire generation of European youth. The West's central banks' policies are akin to Soviet-style central planning. The price discovery of money is the cruel capitalistic part of any system. An economics textbook would call it the modus operandi by which capital is allocated where it can find the highest marginal utility. In practice, this should mean that the market dictates the price of money beyond one year—while at durations of less than one year, the central banks determine the price of money. The beauty of the system is that money is allocated in an auction where the highest bidder for “money” or “credit” gets filled on the price he or she deems to match his expected price of money. They are willing to work cheaper, longer, harder and with higher risk tolerance in order to survive. So the remaining 20 percent of the economy occupied by large and publicly listed companies and banks gets 95 percent of all credit and 99 percent of all political capital. In other words, blue chips receive artificially low interest rates only because the SMEs don’t get any credit. Herein lies my continued belief in the my traditional opening statement: things must get better soon because they can hardly get any worse.